Second day of the holiday where there is no Shunann. Stayed home the whole day today due to the haze and tried doing my homework. 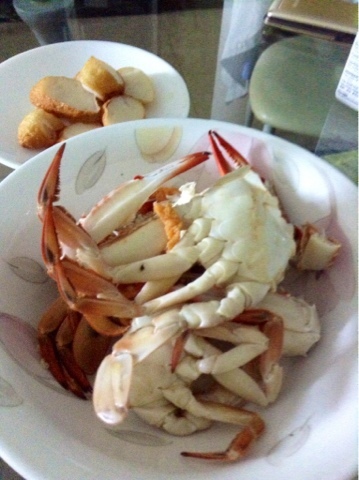 Staying home really makes me want to eat. 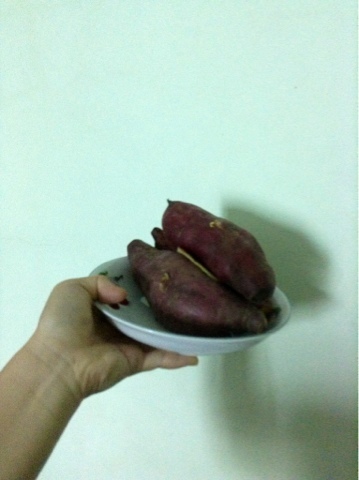 Had giant sweet potato today, cooked by my grandma. So nice of her to come up even though there is the haze. 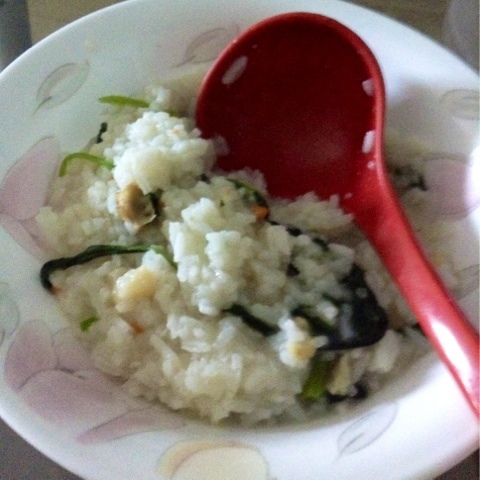 She cooked Crab porridge for dinner.